Donald Trump was protested in unique fashion during Friday’s Rose Parade in Pasadena, California. The Iowa Hawkeyes are set to play Stanford in the 102nd Rose Bowl game on Friday, with thousands of Iowa fans in attendance. 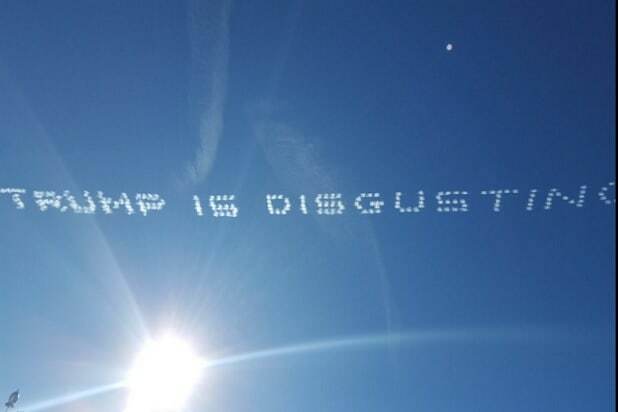 The unidentified skywriters were no doubt trying to influence the upcoming Iowa caucuses, which will help set the tone for the 2016 Presidential race. 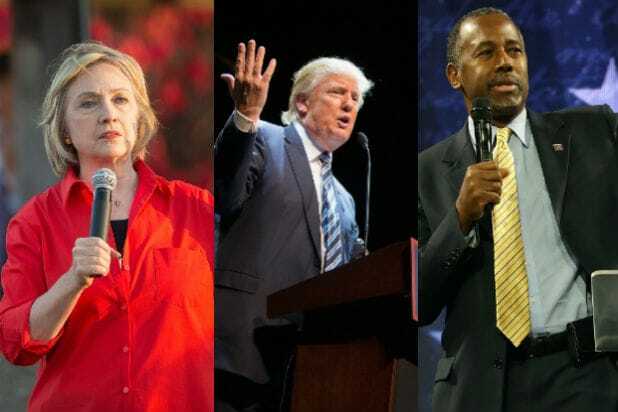 Trump has remained a clear frontrunner in the Republican side of the race, continuing to top a number of national polls. Trump’s high poll numbers come as the candidate and business tycoon has made repeated offensive and inflammatory remarks regarding Muslims, Mexican immigrants, and women.